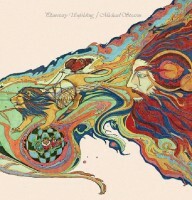 Emotional Rescue is honoured to reissue the benchmark in new age ambient music, Michael Stearns epic Planetary Unfolding album. Out of press on vinyl for over 30 years, here is Stearns masterful electronic symphony in 6 movements, recorded using his Serge modular synthesizer at the Continuum Studio in 1981. With the likes of Matthewdavid's Leaving Records and Jonny Nash's Melody As Truth pushing the ambient curve beyond a post club, chill out fad, classic albums can rightly sit alongside this 'new age of the new age', so that ambient music again has a gravity and place of it's own. This specially re-mastered version by Bob Ohllson features the original artwork by Leilani Bost, liner notes by long-term friend and fellow musician, Gary David, as well as the photography of Ron Peterson, together bringing this wonderful album to life once again.